You’ve already done the museum-and-monument marathon. 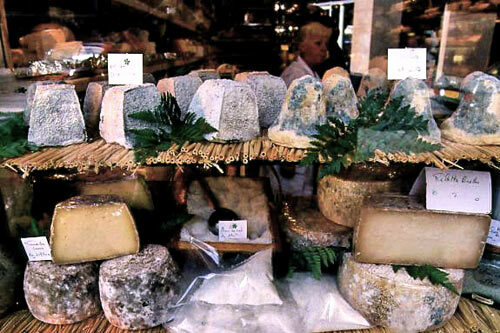 On your next trip to Paris, rent an apartment, and give yourself time to stop and smell the farmhouse cheeses. 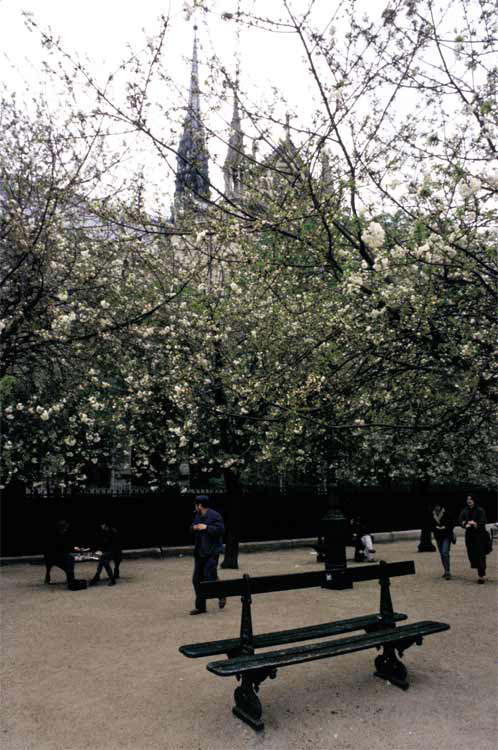 Every day we chose a neighborhood to explore—focusing on a market street, a legendary bakery, or a pastry shop I’d read about in Dorie Greenspan’s Paris Sweets (a sweet-hound’s Baedeker). Exploring the narrow streets of the Île St.-Louis, I would wander in and out of shops while my photographer mate stopped to shoot mysterious light on a gargoyle, inevitably drifting toward the queue at the window of Berthillon, 31 Rue St.-Louis-en-I'Île (4th Arrondissement): lemon sorbet for him, bitter-chocolate ice cream for me. The lively market on Rue Mouffetard (5th Arrondissement) was a feast for the camera and the curious eye. 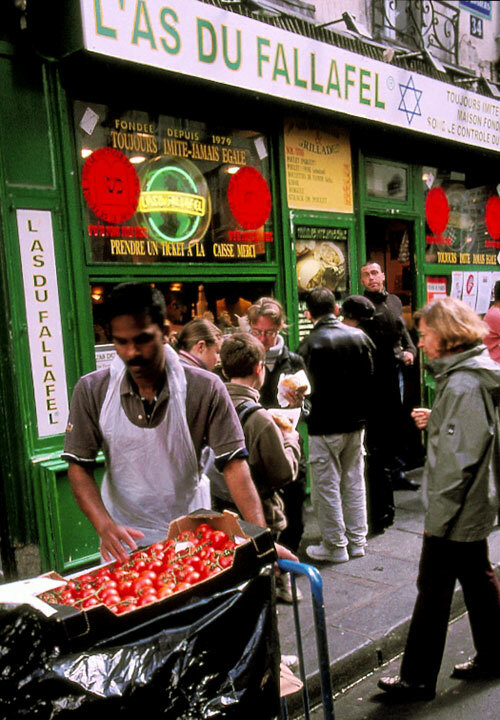 Of course, the fondante of apples at Boulangerie Kayser was the ultimate stop close by at 8 Rue Monge. 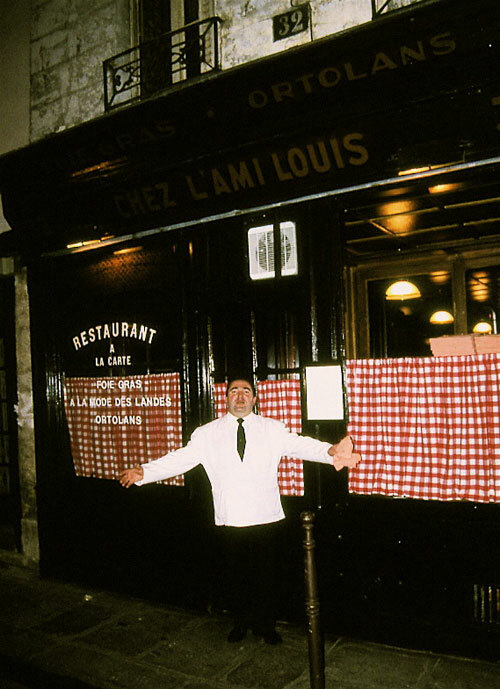 That line snaking along outside the Hotel Pont Royal is for a red leather stool at the Atelier de Joël Robuchon (5 Rue Montalambert, 7th Arrondissement; 011-33-1-42-22-56-56). Back from retirement, the mythic master chef has traded haut luxe for an eclectic menu at a counter curving around an open kitchen, with reservations for early seatings only, at 11:30 a.m. and 6:30 p.m.